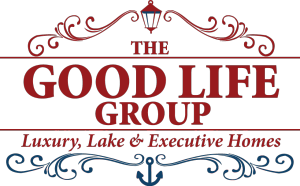 Bev Knight is the lead agent for The Good Life Group, lake/luxury/executive home specialists with Keller Williams Lanier Partners. 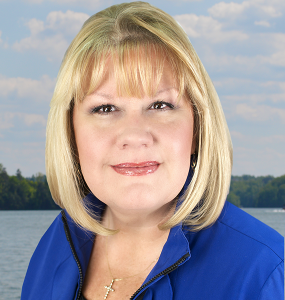 Since 2012, Bev has been the top agent on Lake Lanier, and The Good Life Group has been the top team in the area. In 2015, they processed over 100 real estate transactions, mostly on the lake. 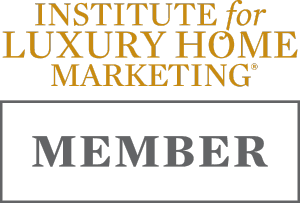 Each team member is a lake expert as well as a certified luxury home specialist. Unless they are with a client, Bev and her team do answer their phones. They pride themselves on providing good communications with their clients and work diligently to ensure a smooth transaction with a minimum of stress for all parties. In addition, they have many years of experience solving real estate problems, especially issues involving Lake Lanier. As the former owner of a marketing and Internet firm, Bev’s success is directly linked to her stellar marketing. For example, each lake home’s custom yard sign will include a picture of that property’s dock (or view, or whatever lake feature sets them apart). That way, anyone who drives by will see the most valuable feature of the home, the lake. They do mailers to metro-Atlanta boat owners, professional photography and flyers, staging suggestions, and for many homes, drone videos. More than half of her leads come from a source other than the listing services, so all the money spent on marketing certainly pays off. Are you searching for Lake Lanier Property? Many people use sites like Zillow and Realtor.com to search for lake homes. The problem with those sites is that they don’t let you search for lake-only homes. Bev’s site is set up not only to showcase her lake listings, but also to allow users to utilize a general lake home search. This feature pulls in all of the listings that are designated in the FMLS listing service as a Lake Lanier property, regardless of the agent. You do not have to sign up to use this search, and no one will harass you. It is a free service. To utilize the lake-only search, visit www.HousesOnLanier.net. Click the Search option to perform your lake search, or click “Properties” to see The Good Life Group listings. There are also a number of articles and links that are quite useful to Lake Lanier enthusiasts.